So this is Christmas. It’s a special time of year for us fortunate enough to enjoy it – a time to indulge in gift-giving, in time away from work, and in celebrating and seeing off the year that’s been. I associate Christmas most strongly with small family celebrations (just me, my Mum and Dad and my grandmother) and involving heaving tables of beautiful food – a rich ruby beetroot salad plus ham and all the trimmings was always on the menu – followed by a stroll through the forests of my childhood home in the Dandenong Ranges and then a good long nap. 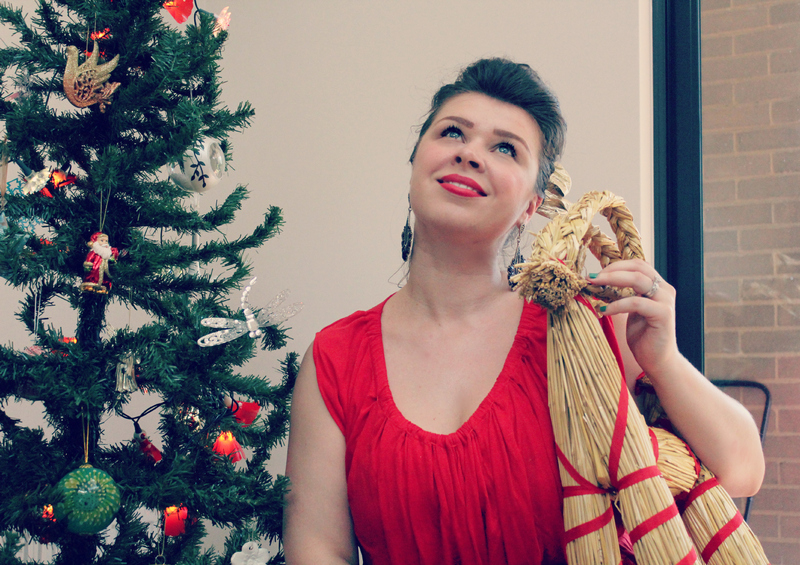 These days, my Christmases are a bit more complicated logistically and involve travelling to rural Victoria to visit my inlaws – something that I know many Australians are used to doing, living as we do dotted all over the city and countryside. This Christmas is very special for me and Mr Ruby Assembly as it is the first year that we are in our new home. Looking back to this time a year ago, I so hoped to be in a new home in 2014 – but I wasn’t sure my wishes would come to fruition. I am still a bit stunned that we’re finally here, to be honest – in a space that welcomes in a new stage of our life and a new chapter in the eccentric and rather delightful tome of Iolanthe. 2014 has been an eventful year for Ruby Assembly too, with many wonderful opportunities to collaborate with excellent people and their businesses, to build a digital masterclass I’m proud to have taught twice (another Leader Of The Pack is coming for those wanting to attend in early 2015, folks! ), and to have moved from one coworking space to which I was very attached to (finally!) finding one in Brunswick East that is so good, it’s almost purpose-built for me. In all, I’m feeling pretty damn lucky. I hope that 2014 has been a good year for you, and that you can relax in the coming weeks and enjoy all that an Australian Christmas in the burbs, by the beach or in the country offers you. Read books, sew, finish a project, swim and sleep, sit and shoot the breeze under the trees. If it has not been such a good year, I hope rather that 2015 brings you a sense of peace and the strength to do what you must do to be happy. 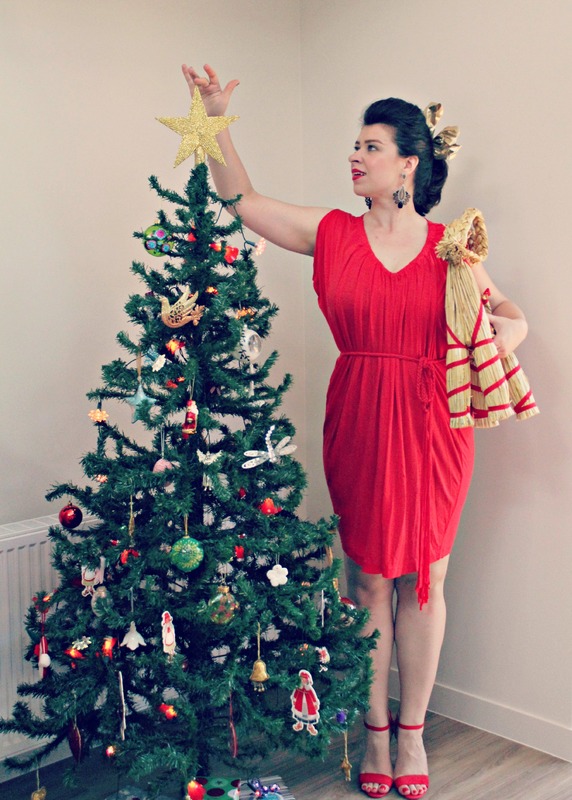 If you’re still looking for small-but-lovely gifts to give your family and friends, here are a few treats which have delighted me – and might do similarly for you. 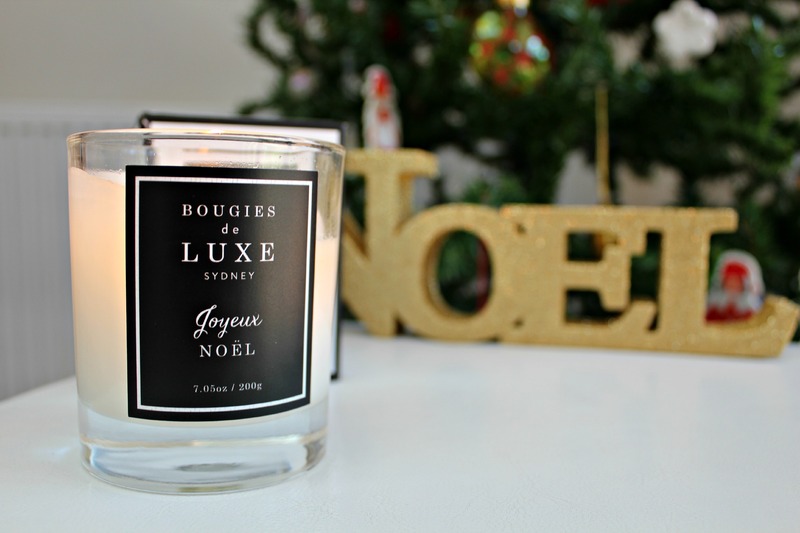 Firstly: these Bougies de Luxe candles are extraordinarily scented – the Joyeux Noel fragrance is clovey, piney and festive. No pine tree in your living room? It matters not, as these candles will give you all the atmosphere you need. A great gift for someone who has everything, and very well-priced for their quality and burn time. 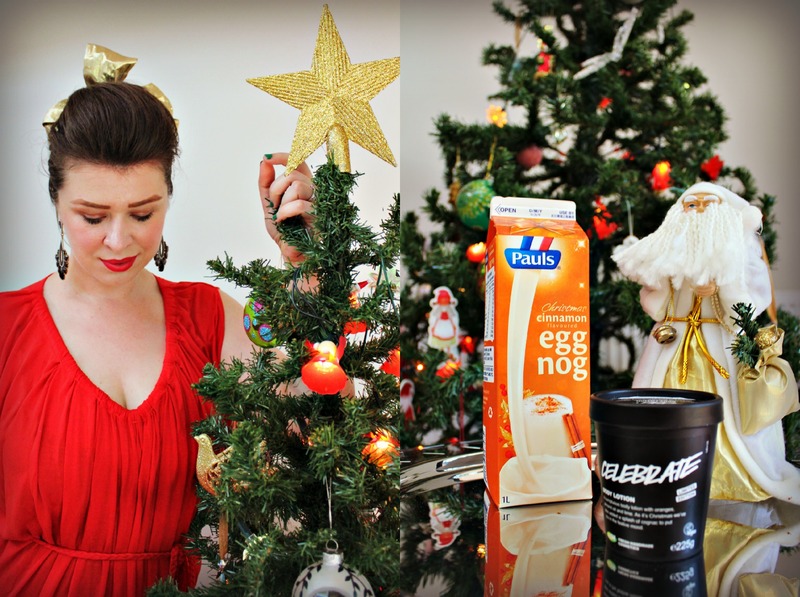 Where do you stand on the egg nog front? Me, I like it. Very much. I am perfectly happy to have the thin-custard version in a carton from the supermarket, too. Cinnamon and vanilla flavoured, hot or cold – and a fine tipple to enjoy alongside A Christmas Carol. What say you to SMELLING like a delicious egg nog, though? That’s what Lush’s ‘Celebrate’ body lotion offers all you crazy Christmas lovers – it’s orangey, vanilla and cognac scented in addition to being deeply moisturising for your skin. Have a foodie friend? 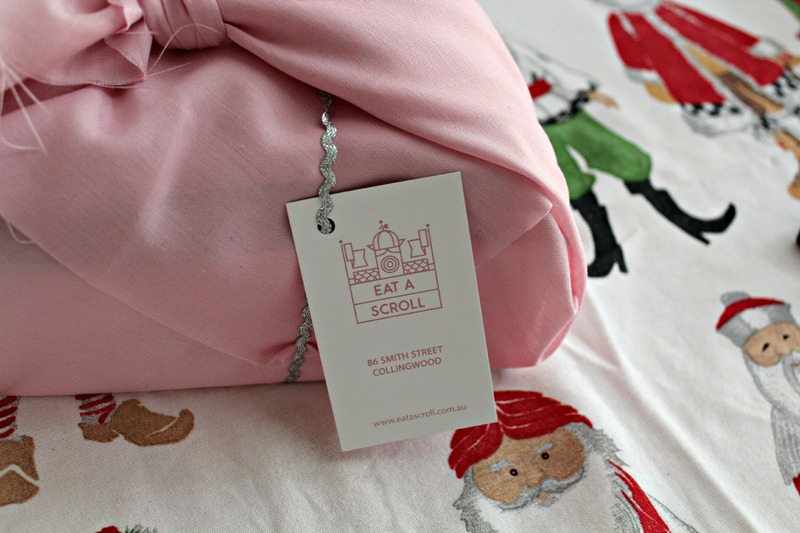 Pick them up a beautifully wrapped box of luxury baked treats from Eat A Scroll. With brioche bases topped with rich flavours including banoffee, coffee and caramel and traditional cinnamon, it’ll be high fives all round when this candy-pink parcel of gourmet scrolls arrives at their kitchen table. 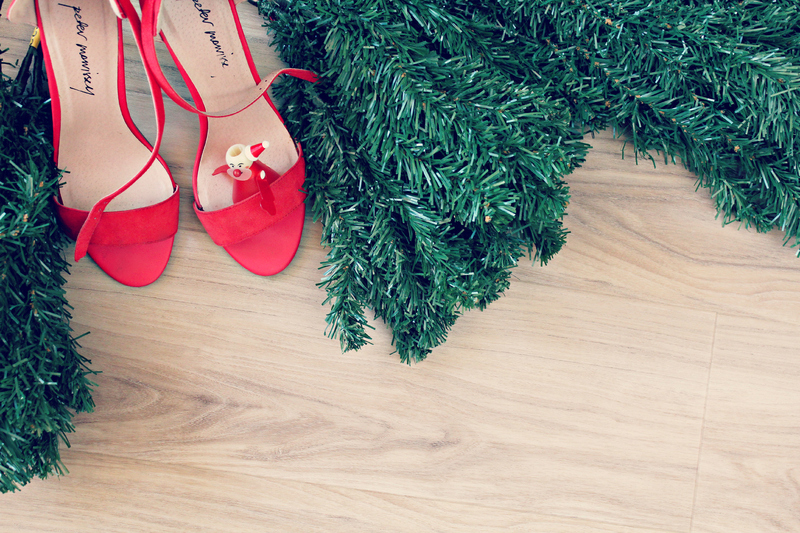 Red is the color of Christmas and a vibrant, happy shade to wear on your lips and nails. Lush’s Santa Baby is a highly pigmented ‘Coca-Cola’ red which stains your pout deeply and will last through at LEAST the first two courses of Christmas lunch. Need a few stocking-stuffers? Essence Cosmetics are RIDICULOUSLY inexpensive and high quality. It’s a rare pairing, but in this case – I attest to Essence’s quality. The brand is German, mostly made in Europe and does not use animal testing in its manufacture. 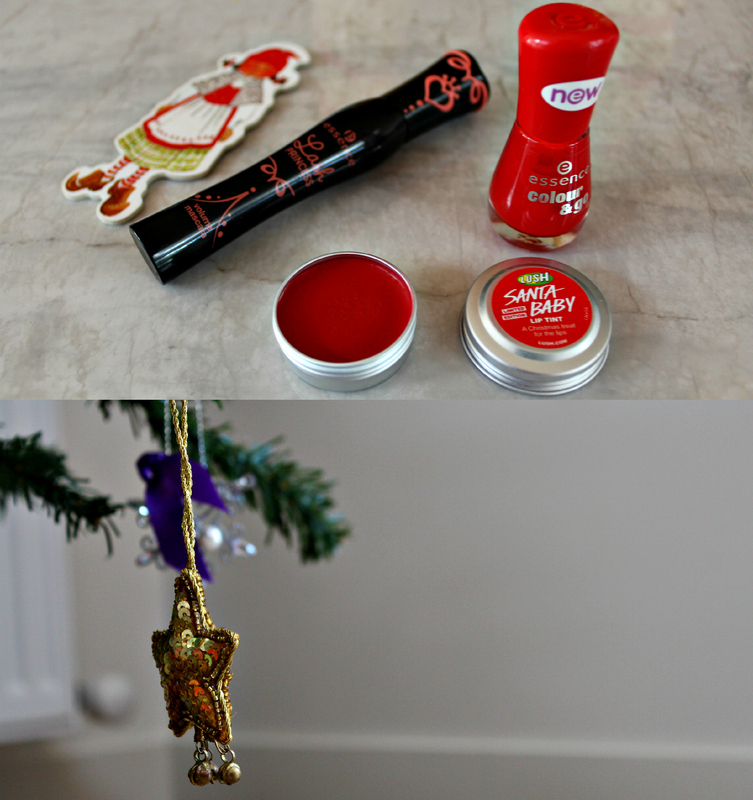 My favorites for Christmas are the ‘Color & Go’ nailpolish which has a gel-like high gloss finish that lasts around five days, while the Lash Princess Volume Mascara does what it says on the tube – and at under $5.00 a pop each, you can’t go wrong. Wishing you a wonderful week in the lead-up to Christmas, and hoping that you have time to wander through Melbourne and enjoy the spirit of the season. 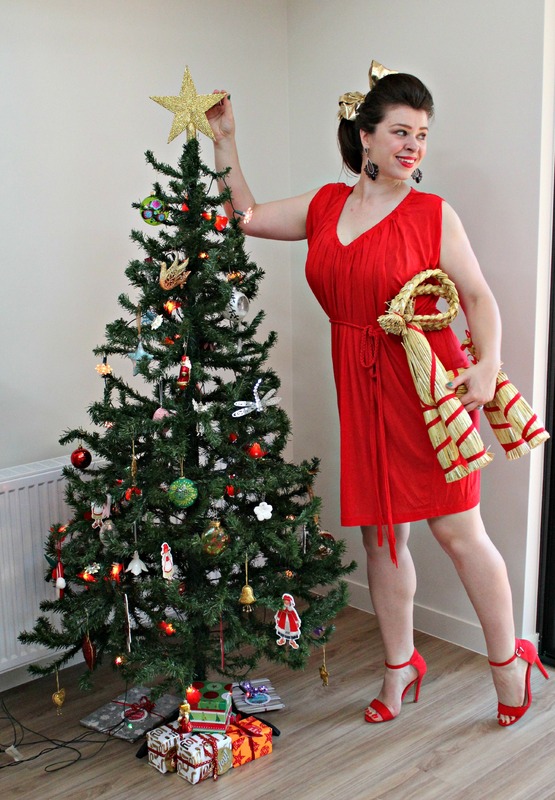 Remember – don’t get too concerned about buying extravagantly at this time of year. With a good eye and a generous heart, you can find or make many a small delightful treat. Also, if you have families which are apart or simply don’t get along that well – be kind to yourself and don’t drive yourself crazy with fulfilling obligations and stressing over how everyone else feels. There is only one of you, and you’re allowed to enjoy yourself during the holidays too. Be safe, be calm – and most importantly, be merry and bright.